Baroque music doesn’t exist. This statement may sound harsh and somewhat discouraging, but it’s the result of many studies done by Manfred Bukofzer, one the major musicologists of the nineteen-hundreds. 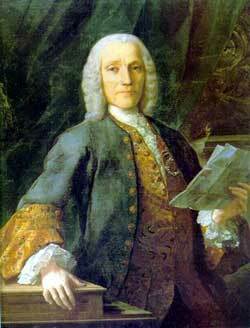 He wrote a book in 1947 divulging his ideas called Music in the Baroque Era. His theory underlines the impossibility of placing only one big frame around a “musical era” that has lasted about 150 years. (There are many divergences on stating when the Baroque Era has actually started and concluded. Some say that the dates coincide with the year of birth, 1685 and death, 1750 of J.S. Bach. Others say that it has started with the great pre classic opera in Firenze (Florence, Italy) at the beginning of the sixteen-hundreds and ended with Metastasio’s reforming Italian operas in mid seventeen-hundreds). 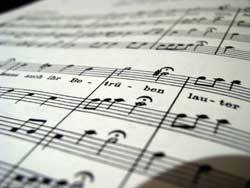 Bukofzer’s theory explains that it is fundamental to distinguish time and place of every baroque musical piece. For example, it is much better to talk about “later Italian baroque” or “early French baroque”. This distinction is essential in order to reorganize compositions in the vast borders of the Baroque Era. Despite more than half a century has gone by since he first published his book, this theory still arouses perplexity in many musicologists. This happens perhaps because it pulls apart many of the absolute certainties of musical historiography and of our modern music market. The word “baroque” derives from the Portuguese word barrueco with means a highly uneven rock. The term “baroque” relates perfectly to the music composed between 1600 and 1750, since the musical styles vary greatly. For example, it is absolutely non sense to compare the French instrumental style, with the concerting Italian one, or with the German counterpointed style. Imagine that in addition to these three differences there is an other subdivision; vocal and instrumental music. In philosophy and science the baroque eras do not necessarily coincide with specific dates, but represent “ideal paradigms”, or any kind of theoretical and philosophical framework. After all, what relates the Baroque pieces is only the continuo and ornamentation. The continuo is the accompaniment that usually consisted of a cello and a harpsichord. It functions as the rhythmic foundation (like the drum set in hip-hop music). Ornamentation includes grace notes, trills and mordants. (Embellishments were never written out, but left to the musical taste of the performer). These two elements alone are not sufficient to place all the musical pieces composed in a century and a half under the same category. It’s not right, explains Bukofzer, to collocate a concert of Vivaldi with a Couperin’s ballade, or a Scarlatti’s sonata for harpsichord with one of Handel. 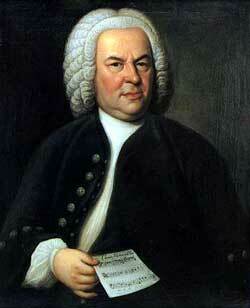 The distinguishing counterpointed German style (typical of Bach), is the complete opposite of the Italian toccata. Although these two styles are absolutely unalike, they are both labeled as Baroque. This “musical taxonomy” doesn’t work anymore; therefore it is necessary for us not to use the “baroque music philosophy” but to adopt a better categorizing method, specifying meticulously time and place. The basis of the "barroque" definition can found in the lifestyle of this period... poetry, paint and the other arts... everything are barroque!!! And it's correct to make a sub-divission for this period, but we can't to force the definition in the base of "150 years are many years"... what about the Middle Age?... 1000 years are many years too? Greats for this article!! !